HideMe was founded by a global team of IT security specialists who shared a common principle: everyone on the Internet deserves the highest level of protection and privacy. Security, speed and ease-of-use are the key fundamentals of the product. Working on VPN client for windows, my main challenge was to preserve the style of the Windows 7 environment while creating a unique feeling for the product itself. Although the user-flow was quite easy, I sketched the whole layout to get the best possible usage of space and placement of elements. Sketches and wireframes also helped me keep track of all the needed use cases. 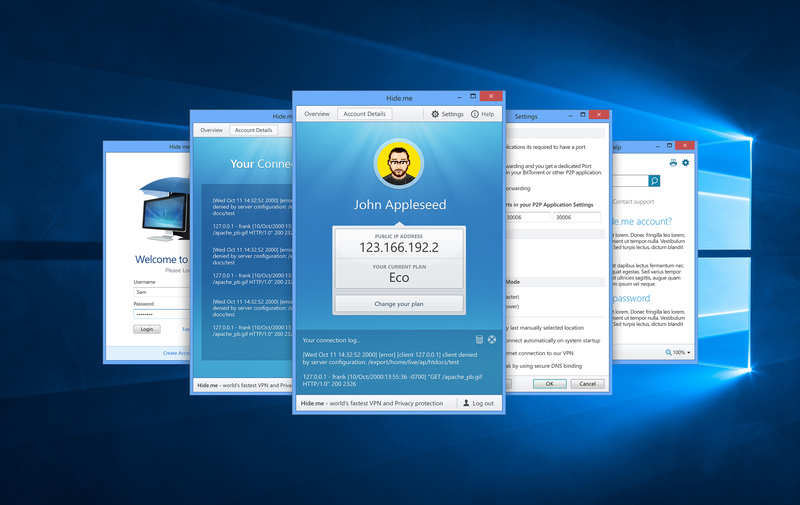 The goal was to create a VPN client that would clearly display the user pan data, allow users to control their connection via the connection log and keep in touch with help center in case of emergency. Proper visual accents helped to showcase all of the needed information in a way that people could really immerse themselves in the data.